Though the U.S. office supplies market has consolidated down to Staples and Office Depot (ODP), many investors consider these two extremely dominant businesses dinosaurs facing extinction by Amazon. We beg to differ, with ODP a top ten holding. ODP has two business lines – Commercial and Retail. Commercial covers large corporate office delivery and accounts for ~50% of revenues. The other half comes from Retail, serviced by a national network of 1,400 stores. 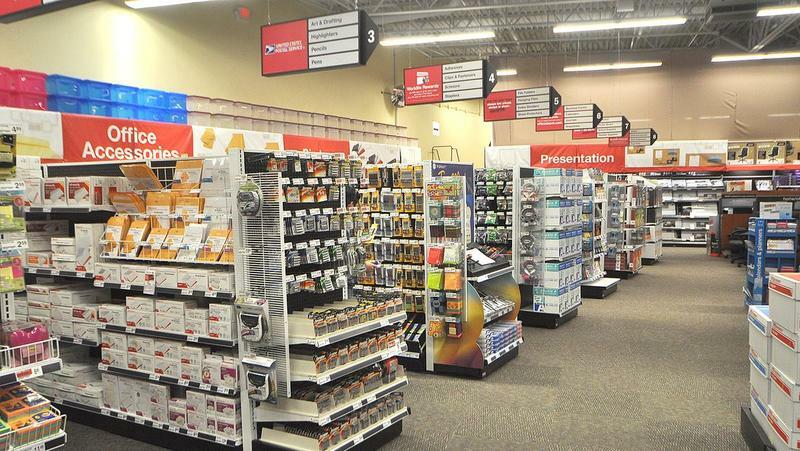 Following the merger of ODP and Office Max in 2013 (ranked 2nd and 3rd by market share respectively) this network expanded significantly, with the trend towards industry consolidation reaching its zenith in February 2015 as Staples attempted to buy ODP. The deal appeared fate accompli given structural sales declines, particularly within the retail channel. However, in December 2015, the Federal Trade Commission (FTC) blocked the deal due to excessive market power. A subsequent court challenge failed in May 2016 and all bets were off. On the day, ODP and Staples share prices collapsed 40% and 19% respectively. We sensed a buying opportunity with the market underestimating some inherent resilience against online competition. There are two aspects to this. Firstly, the market extrapolated the structural decline in paper use as a structural decline in ODP’s addressable market, paying little heed to its success in broadening the offering into the Maintenance, Repair and Operations (MRO) category. Secondly, the market has failed to give ODP credit for having moved 50% of its business online/direct, with the FTC somewhat validating ODP and Staples dominance in the commercial channel as grounds for preventing the merger. We’re not denying that the online/Amazon threat is significant but “the everything store” isn’t perfect, having to relaunch its somewhat failed “Amazon Supply” commercial offering as “Amazon Business”, targeting office products as well as MRO. Amazon is struggling to optimise its low-cost service model for commercial customers, often with slower delivery times versus same day at ODP and deploying multiple delivery batches for bulk orders – a point of friction for client receptionists (the gatekeepers). In the Commercial business, customer service matters as ODP delivery staff physically check client cupboards/storage and automatically refresh, useful for large corporates that order centrally to multiple locations. The multi-year decline in Commercial sales can flat-line from a recovering customer pipeline and cross-selling opportunities into new growth categories such as Kitchen and Cleaning. Commercial clients also receive bulk discounts when shopping via the offline retail store network. For retail customers, ODP has been price-matching Amazon for close to three years without any signs of weakness. We expect industry retail sales to fall by low single digits, but in the case of ODP, offset by a further USD250m of annual cost savings from supply chain streamlining and closure of a further 5% of retail stores. New CEO Gerry Smith is well qualified for a bruising fight having formerly headed Lenovo America, where he built a PC business battling giants Dell and HP. Bring back the merger! Under the new Trump administration, Maureen Ohlhausen, the acting chair of the FTC, is on the record suggesting the FTC has been too heavy handed in recent years. A more open posture from the FTC and USD$1-2bn of annual synergies based on +1000 combined stores closures, may tempt Staples and its new private equity owners ($6.9bn privatisation by Sycamore Partners just announced) to revisit the merits of a merger. Despite an 80% rally in its stock price from the lows, ODP’s valuation still looks compelling. The balance sheet carries USD400mn of net cash against a market capitalisation of USD2.9bn providing an enterprise value of USD2.5bn. In 2017, the business should earn USD500m of EBIT (5x EV/EBIT) and USD300m of free cashflow (12% free cashflow yield). Much of that cash should be returned to shareholders via buybacks and dividends. Benchmarking ODP against the takeover offer from Sycamore Partner’s for Staples suggests a further 40% upside, though we think the business is worth 7x EBIT indicating upside of 35%, with material optionality around any merger with the Staples retail assets. There’s still more to come from this so-called dinosaur. ODP belongs to our “Retail Disruption” correlation cluster which includes traditional offline retailers successfully confronting and adapting to the online reality that the market is overlooking in its fervor to believe that Amazon truly is the “the everything store”. This is a growing cluster with Antipodes Partners’ portfolios and includes a recent successful investment in Belle International.